My kids and those who have tasted the goodness that is “My Granola” get excited when I mention that it’s “Granola Day”. This recipe is ridiculously easy to make but it takes a long time. Therefore, it earns its own special day. Granola Day, btw, is a good time to invite people over. It makes your whole house smell divine! 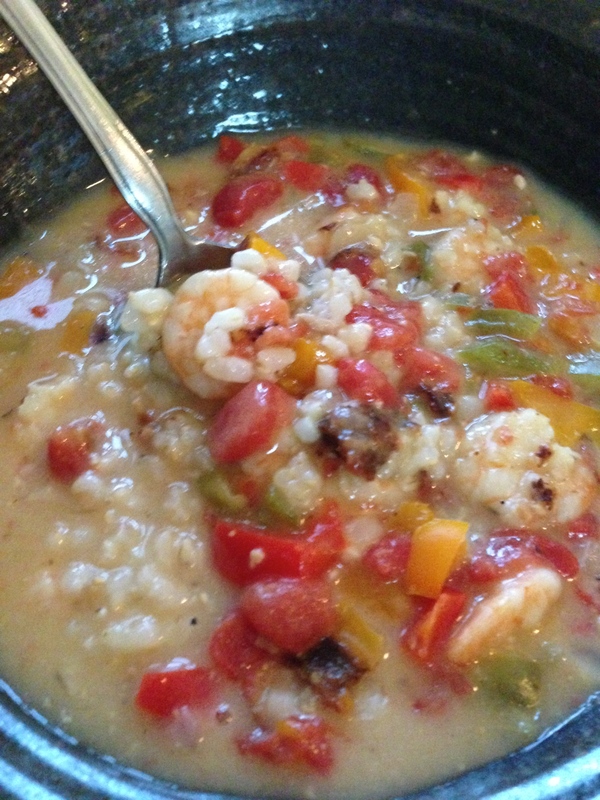 I first started with this recipe from Against All Grain’s, Danielle Walker. I adapted it and do my “little bit of this, little bit of that, more of this” thing. (And that’s the recipe for making love – do you know this song by Harry Connick, Jr.? It’s one of my favorites to play when I’m cooking.) I know the “dash of this and that” method drives devout recipe followers nuts but it’s my way. So if you need a set recipe to follow, use AAG’s. It’s absolutely delicious! You can’t go wrong with this recipe, though. Leave the basics the same but switch out the nuts, seeds, and fruits per your preference. The main thing you’ll need to pay attention to is that have a good balance between your wet ingredients and the dry ingredients. *I prefer to use organic, local and gluten-free ingredients as much as possible. *This recipe makes a lot but since it takes so long to cook, it’s best to make a lot. 3 cups of dried berries (I prefer cranberries, blueberries and sometimes use pomegranate). 1. In a large bowl, stir together dry ingredients. 2. In a separate microwave-safe bowl, melt coconut oil. Then add in remaining wet ingredients and stir together. 3. Pour the wet ingredients over the dry ingredients and stir together to make sure all dry ingredients are coated fairly well. 4. Pour entire mixture onto one very large, *parchment-lined baking pan or two smaller (but still large) baking pans. 6. Stir in dried berries and cool completely. I enjoy this most over my favorite vanilla yogurt but it’s delicious as a cereal with your favorite milk (or milk drink) or as a munchie. It makes a fabulous road trip/travel snack. *The parchment is not necessary but if you don’t use it then be sure to coat your pan with cooking spray or something beforehand. The parchment paper will also help you not make such a mess when dumping it into your storage container afterward. 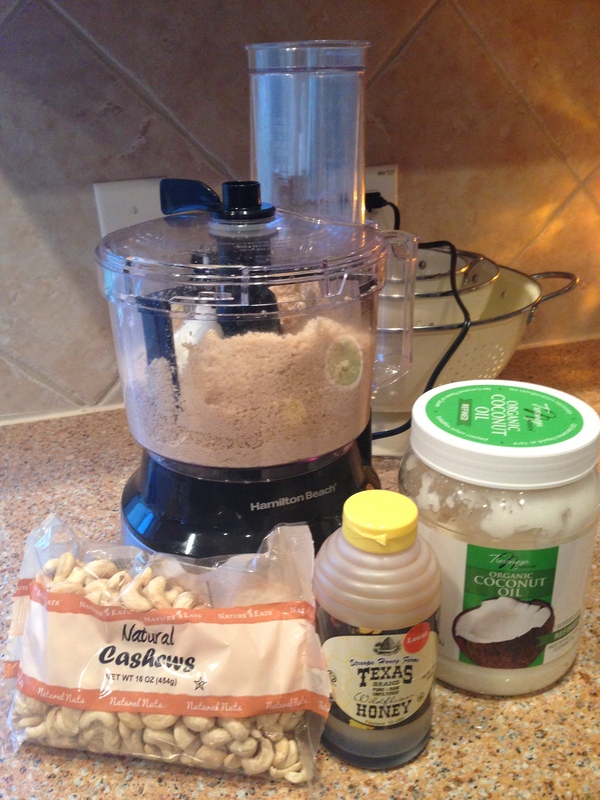 I realize this is the millionth recipe out there for homemade cashew butter but it’s the one I like and it works for me. After trying out making it just with cashews, it worked for sure but it took an eternity. It also didn’t have much flavor at all, kind of just tasted like cashews. 🙂 Anyway, although it made good bread, delicious Coconut Flour Bread, it wasn’t good on celery so I decided to add a little honey and coconut oil. That helped speed up the process significantly and it’s tasty! Feel free to leave out the honey when making the bread if you prefer. This is so yummy eaten with apples or celery or by the spoonful for a quick grab ‘n go bite. It’s packed with protein and good fat so be sure to note that it’s not low fat but it is healthy. You’ll need a food processor for this one. I don’t have a fancy one and it works just fine. It took me 47 years to buy a food processor. Not sure why because now I couldn’t live without it. Even if you got one for this recipe it would be worth it. Blend away. It will take a while. 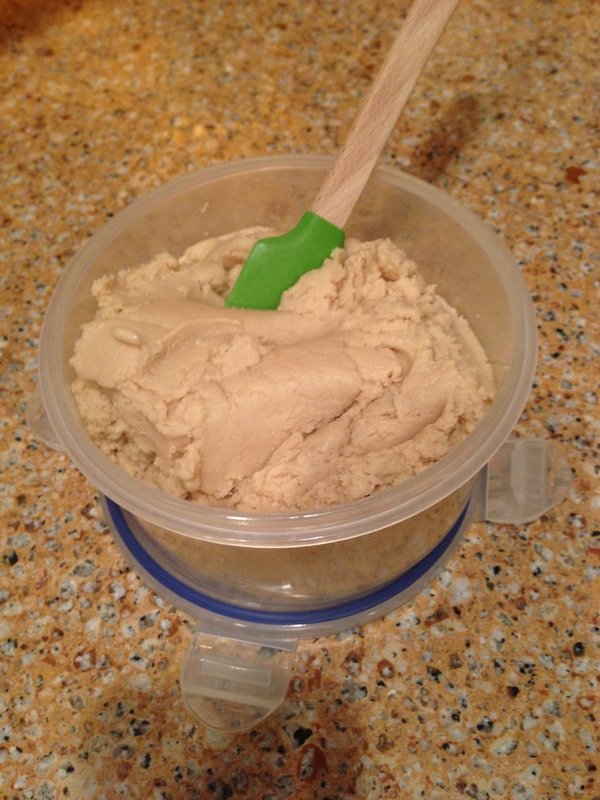 It will go from cashews to grains to a big lump to smaller lumps to creamy butter. The whole process takes about 30-45 minutes or so but just make sure you give your food processor frequent rest breaks to cool down. It makes about 2 cups of cashew butter. Store in an airtight container in your pantry just like you would regular nut butters for about a week. If it lasts that long. Enjoy!! 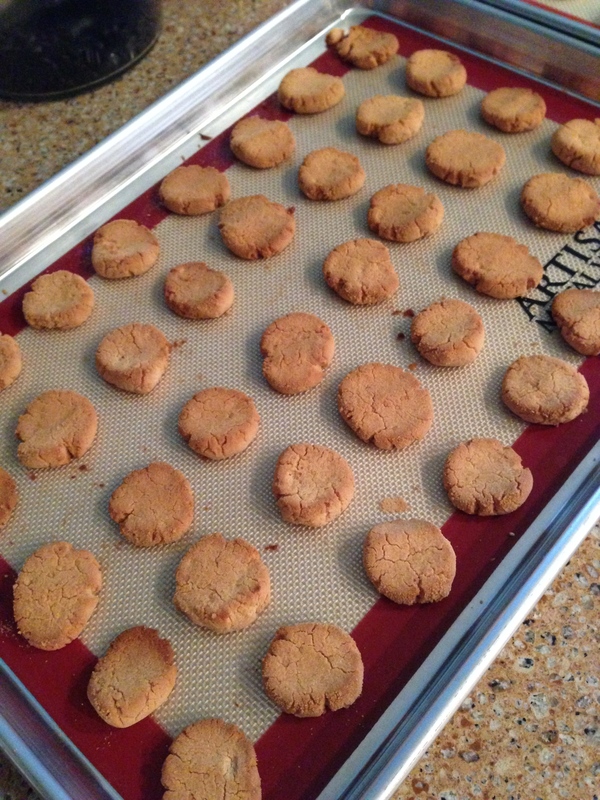 I found a recipe for coconut flour cookies and made them. They didn’t do it for me but they almost did. I made some changes and now… they do it for me. I’m excited to find a cookie that only needs a few ingredients and are super easy and healthy. 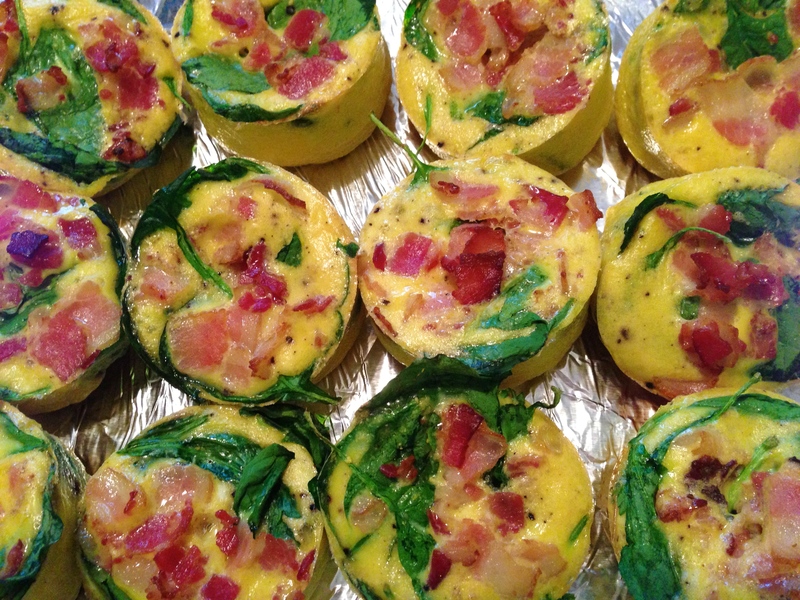 These are great with tea or coffee and healthy enough to grab a few for a hurried breakfast. 1. 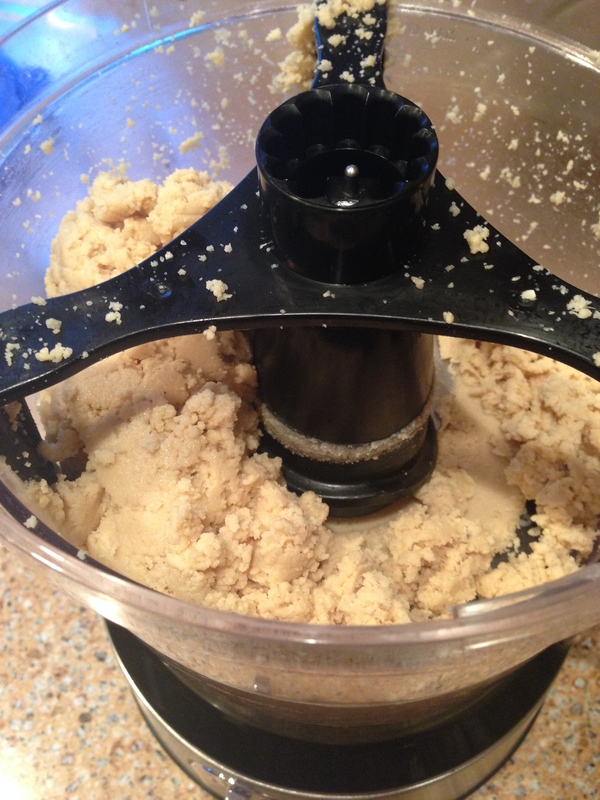 Place all ingredients in a food processor and blend until it’s a big ball of cookie dough. You can do this with a pastry blender but it will take some muscle. The food processor makes quick work of it. 2. Spoon out very small lumps of dough (a little bit bigger than a marble) onto your baking sheet (lined with parchment or your baking liner). 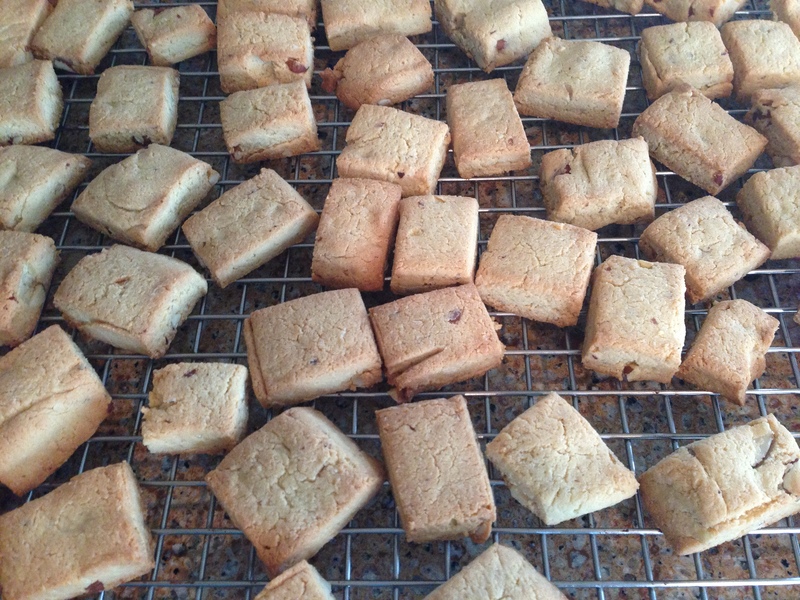 You can make these as large as you’d like but due to the dry shortbread texture, a couple of small ones will satisfy. 3. Roll each lump into a ball and dip into your sugar and place back on the baking sheet. 4. Press down each cookie ball with the back of a spoon to flatten into a quarter size round. 5. Bake at 365F for about 8 minutes or until edges are slightly brown. Watch these because they cook quickly since they are so small. 6. Cool completely. They will crumble into bits if you take them up too soon. They really do firm up nicely but you have to let them cool completely. Patience! This recipe makes about 46 very small one-bite cookies. Kept in a air tight container, they will be good for at least a weak. I’ve combined a few recipes to create this one. It’s sort of a scone and sort of a biscotti. Thus the name “bisconi”. These are not low fat but they are packed with good fat and protein and all things healthy and good. In a stand mixer, stir together all dry ingredients. Add in the syrup, almond extract, vanilla and eggs. Add the melted coconut oil to the flour mixture and mix well. Note that the dough will seem a little bit oily. Gently stir in the almond pieces or whatever nuts you’re using. Place the “ball of dough” onto a large cutting board and roll or press out (you can put plastic wrap over the top to make it less messy to press) to be about ½” thick. 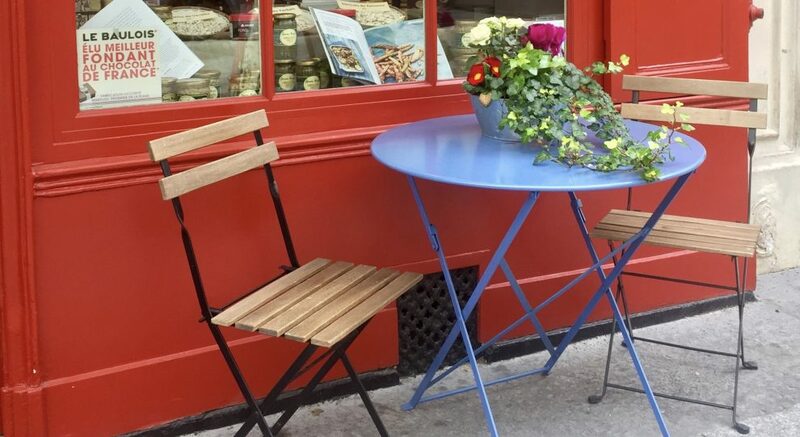 Try to square off the edges as best you can to get square pieces when you cut. Use a knife to cut the dough into bite sized square pieces and transfer these onto a parchment paper lined baking sheet. Bake for about 15 minutes or until the edges begin to turn golden brown. Serve with a cup of coffee or hot tea. These are so good with this masala tea recipe.